Moving Average Envelopes use a percentage of a simple moving average to create an upper and lower envelope around the moving average. 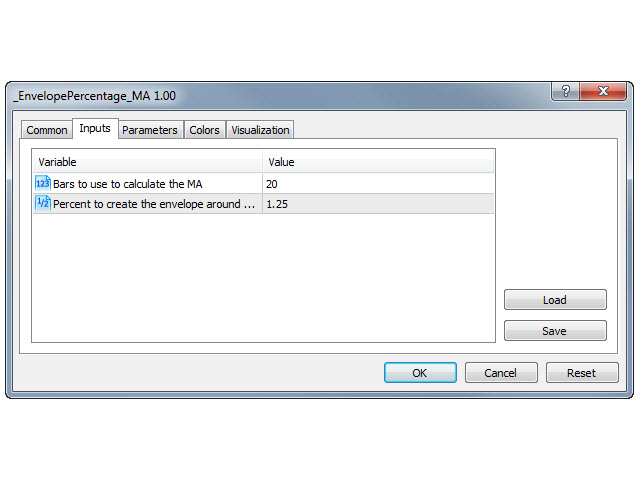 Using the middle moving average value, the chosen percentage from the input is multiplied by the MA value to add upper and lower envelopes. As the MA value is different among markets and currency pairs, you must manually adjust the chosen percentage for each chart. If you do not see the envelopes on a chart, change the percentage to a smaller value until you see the envelopes. 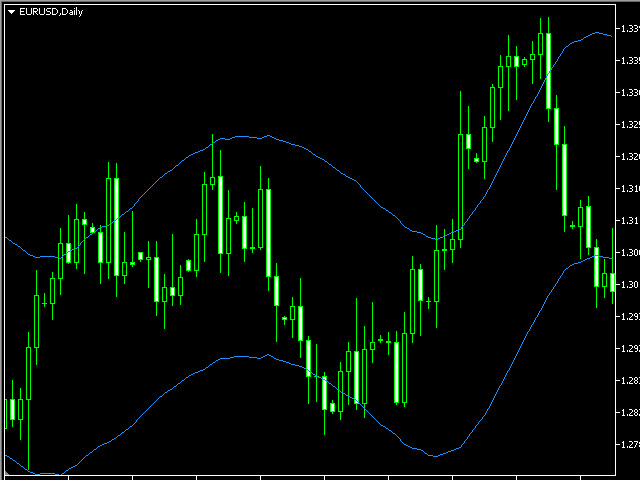 Typical use is to see when the price breaks out of the envelope as this may indicate the beginning of a trend.